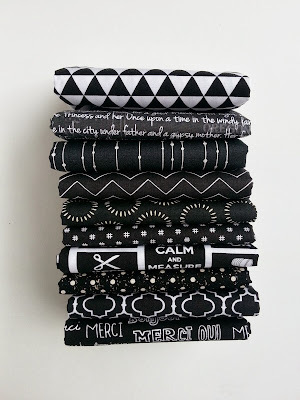 I think with this black and white bundle my "dark" stash is finally nice and full. There are so many great prints in this bundle that I'm not sure I can pick a favorite. 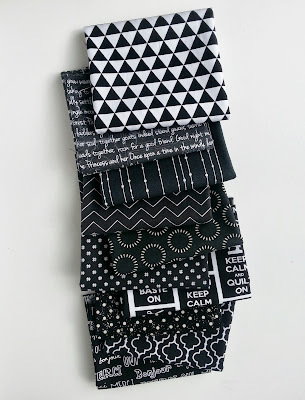 I mean, how can you go wrong with text prints and beautiful geometric basics?! 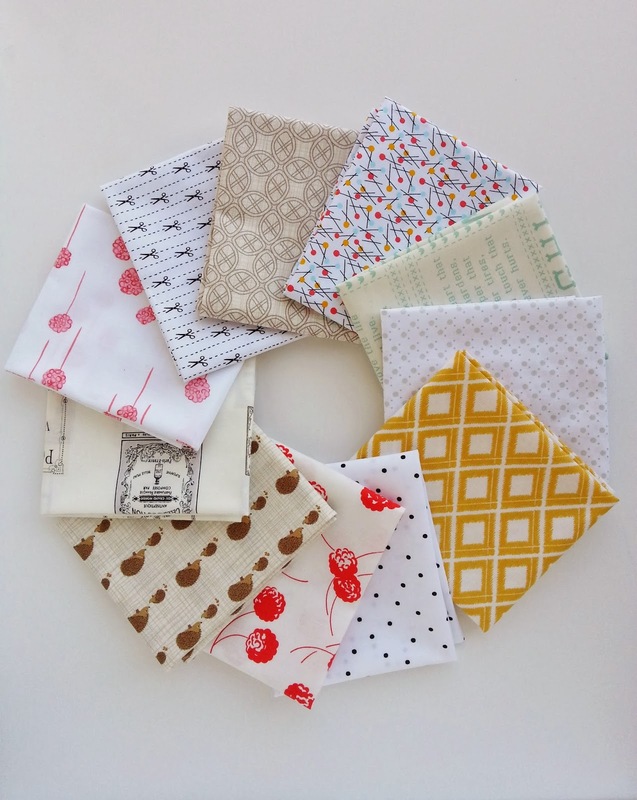 BTW, Amanda has listed her Fall Inside Voices bundle. I just got mine, but I have it on good authority that they are going fast. 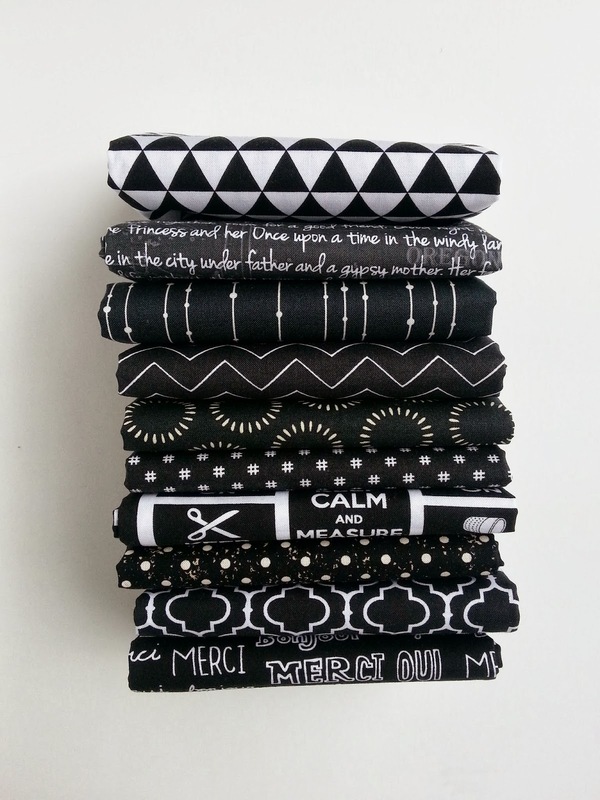 Great set of black and whites! 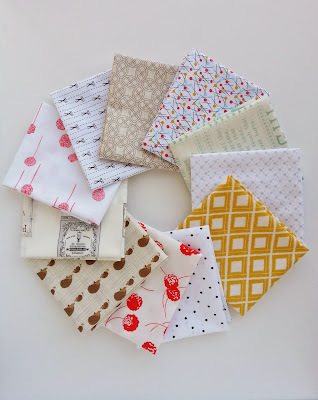 They're always such great fabrics, and it's healthy to have a collection of them, I've heard! 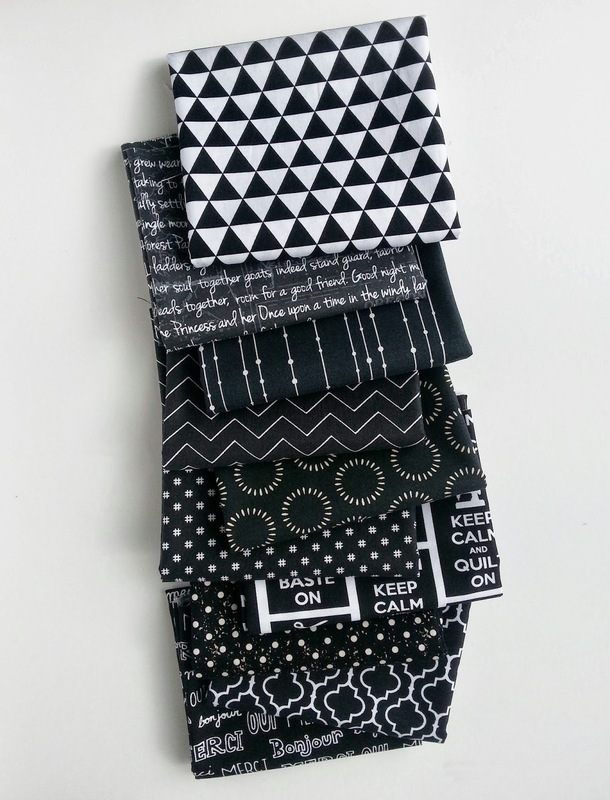 Ohh I have my eye on that gorgeous black and white triangle fabric!